No matter how good a car looks on the outside, we spend most of the relationship in the driver’s seat. How we feel about a car’s interior greatly colors the overall ownership experience. While luxury materials and the latest tech amenities can be added to any vehicle, there are a special few interiors that fly above the herd. These designs are innovative and clear in their execution. Tasteful, premium materials are chosen and crafted expertly. Controls and information are intuitive rather than intrusive. 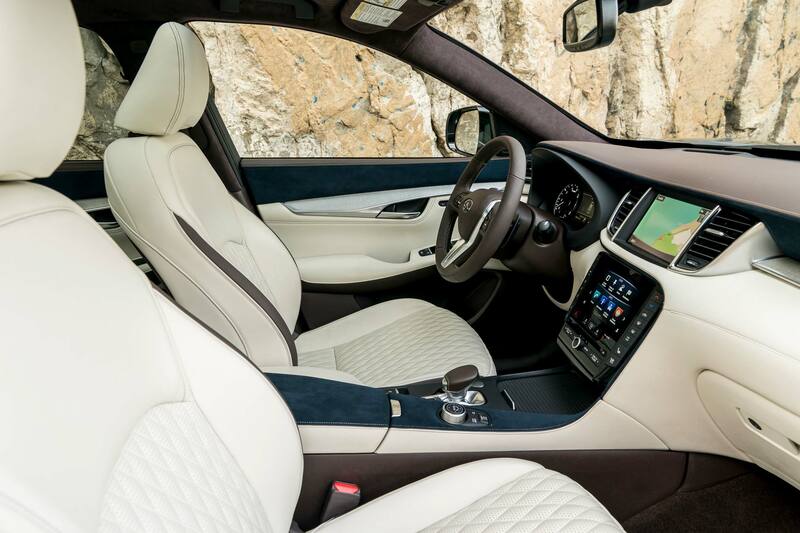 These are the best luxury SUV interiors. 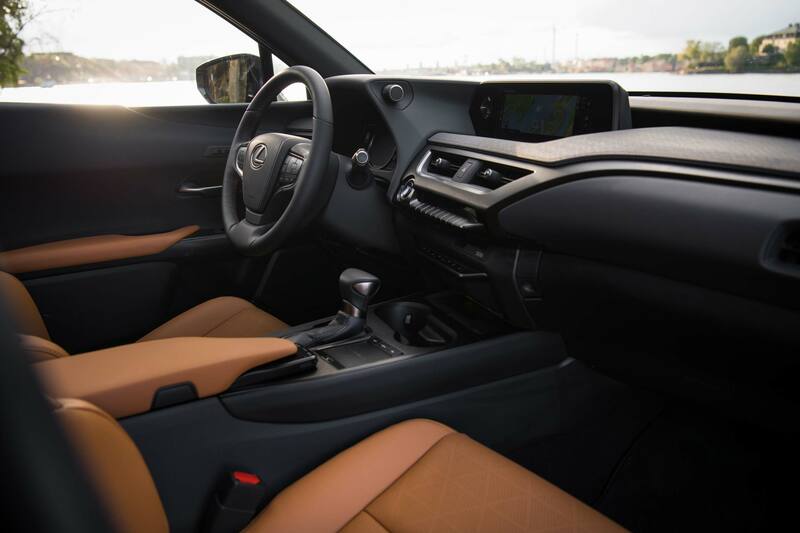 The interior of Lexus’ new UX is designed around the driver, with a feeling that combines sporty sedan with the solidity and commanding presence of an SUV. That might sound like any other SUV, but this one is a compact, so it’s a neat trick indeed. Surfaces appear carved and feel solid to the touch. We especially like the seats, which are firm and well-bolstered, but completely comfortable both in town and over long distances. 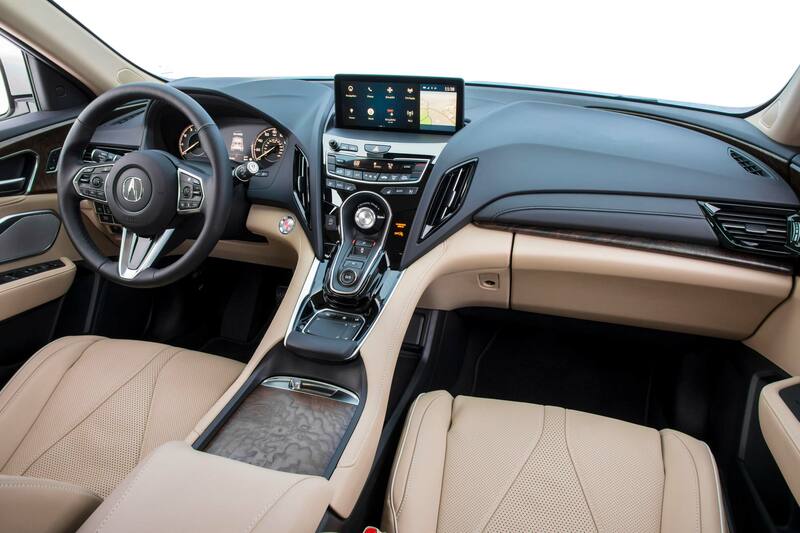 Seat heating and ventilation are linked to the climate control for added comfort. 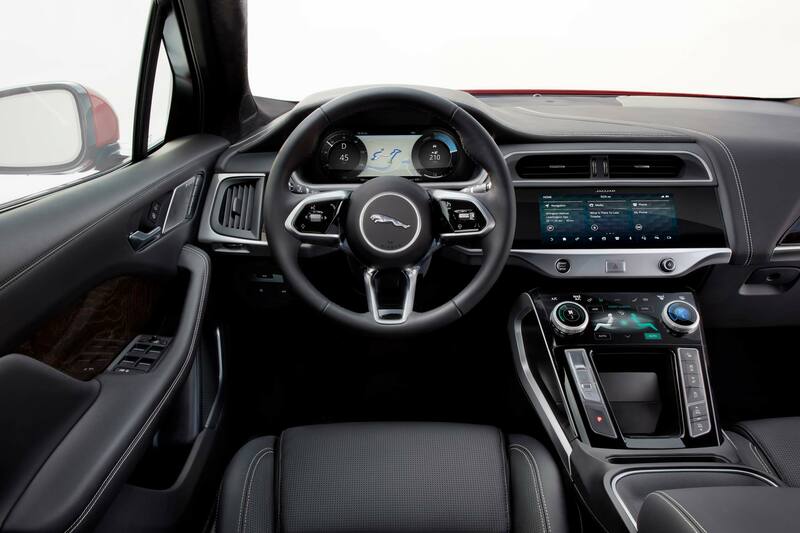 Standard infotainment is six-speaker sound controlled by a frameless 7-inch display, and is as comfortable to use as a smartphone. Eight speakers and a 10.25-inch display are available. The interior of the 2020 Range Rover Evoque is as cool and English as a James Bond suit, but its textiles are made of recycled plastic bottles and sustainable eucalyptus bark in addition to wool. Seriously. The tech is refined and feels completely plugged into the modern world. Infotainment and software run seamlessly, and the display looks like it was designed to be there rather than just glued on. Apple CarPlay and Android Auto work without fuss. The cabin even uses AI to learn driver preferences and prepare the interior for the journey. Second row space has been improved from the previous model. There’s more room for passengers, their knees, and their luggage. 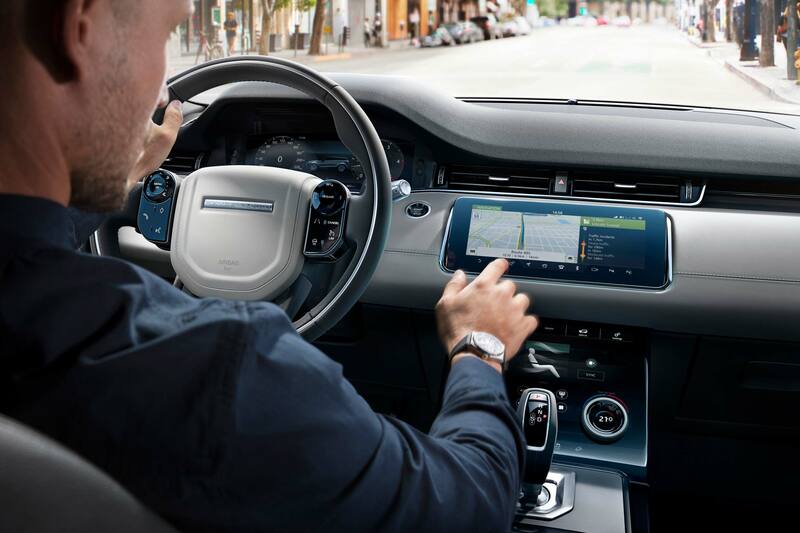 The touchscreen interface is easily visible to the driver and has a control interface on the center console that responds to input 1:1 with the screen for a natural interface. The system is so good, it won an award from Popular Science. Handwriting recognition and voice control are responsive and intuitive to use. Volvo’s smallest SUV is one of the most stylish in the segment, with attention to detail that never fails to delight. There’s loads of cubbies and pockets throughout the Scandinavian Modern cabin, and the doors have been specifically designed with enough room to stow laptops. The nine-inch, vertically-oriented touchscreen is somehow more natural to use to our smartphone-trained minds, with swipe navigation and intuitive navigation. Apple CarPlay and Android Auto are onboard, along with USB ports for fast charging and media connection. Harman Kardon premium audio is offered and powers 13 speakers. Stepping up to the Inscription model adds a panoramic moonroof, elegant wood trim, and—our favorite—a crystal gear knob made by Swedish glassmaker Orrefors. The Mercedes-Benz GLC offers plenty of interior space. Even tall adults in the second row have ample area for legs and knees and shoulders (o, my!). 2019 adds standard heated front seats, a storage package, and a 115V power outlet to the five-seater. 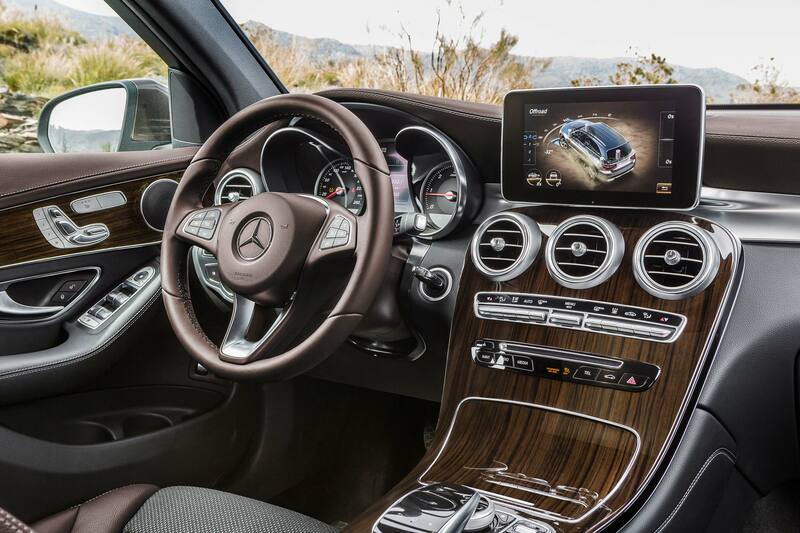 A seven-inch, high-definition touchscreen display sits high on the dash, with the option of Mercedes’ multimedia package that adds navigation and an 8.4-inch screen. Burmeister premium audio can be had, as well as Apple CarPlay and Android Auto integration. 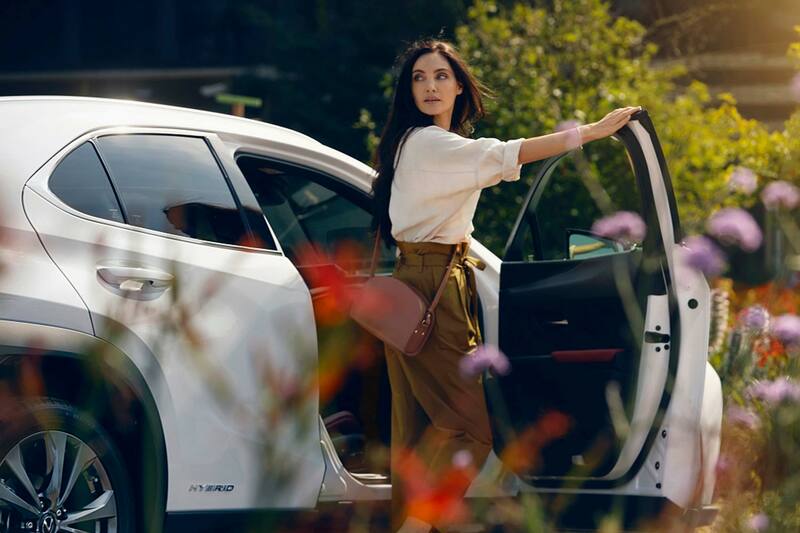 Leather packages, three-zone climate control, air purification and scenting are also all on the options list, along with a raft of other desirable features. What Mercedes does better than all others is allow the buyer to select precisely what is wanted, creating a near-bespoke automotive experience at a reasonable price. We love it. Even as a luxury vehicle, the newest member of the Infiniti family punches well above its weight. The interior harmonizes a variety of materials to create a symphonic whole. Lower trim levels lack a few of the technological amenities and leather upholstery of upper models, but are every bit as nice a place to be. In upper trim levels, the varieties of shapes and colors and textures sparks joy, to quote Kondo. It looks nice, it feels nice, and it makes us smile. Bravo, Infiniti. 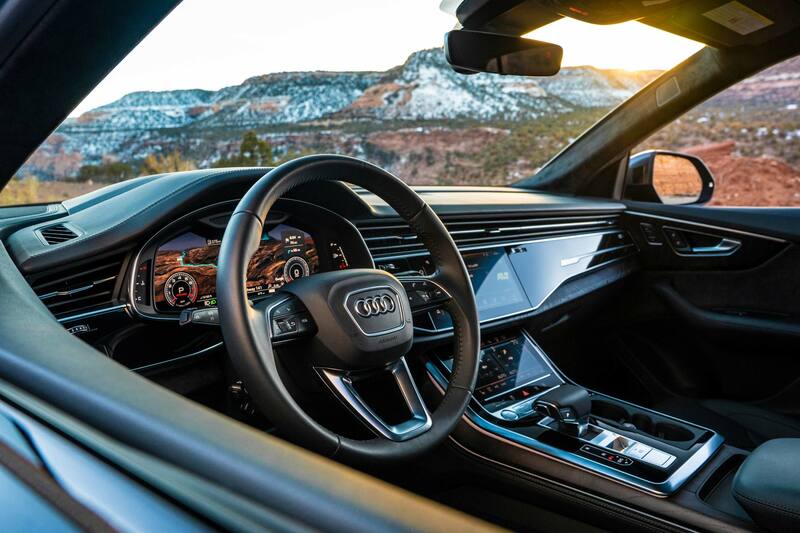 The interior of Audi’s flagship Q8 combines an organic, hand-built feel with the bleeding edge of technology. The five-seater showcases the company’s embrace of digital technology. 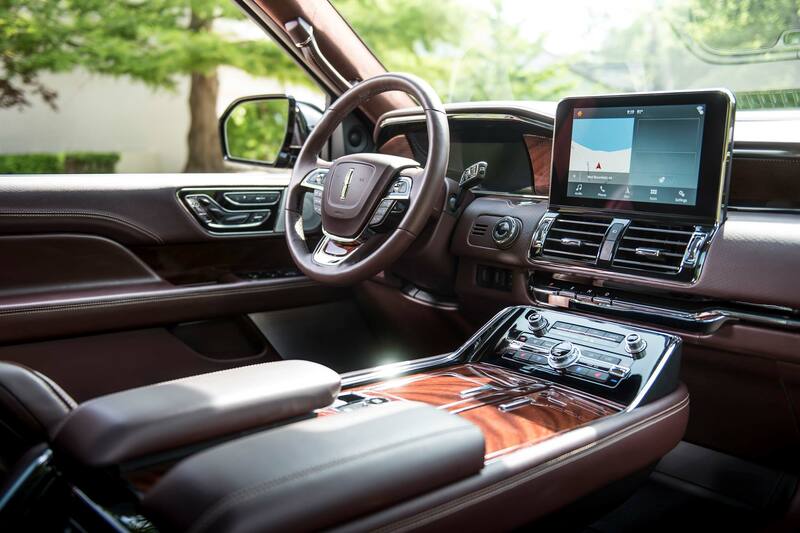 Navigation and infotainment are controlled via a 10.1-inch upper screen, while an 8.6-inch lower display is used for comfort and convenience functions and handwriting recognition. An additional 12.3-inch display creates a high-definition virtual cockpit for the driver. Heated leather front seating is standard, with eight-way power and four-way lumbar adjustment. Trim can be chosen in fine grain ash or eucalyptus. Multicolored ambient lighting is on offer, as is heated second row seating. For audiophiles, an 1,820-watt Bang & Olufsen 3D sound system is available in top-tier Prestige models. It’s worth every penny. Everything about the I-Pace evokes pure Jaguar history and modern performance. Not bad for the company’s first all-electric vehicle. Without the traditional drivetrain to intrude into the interior, there’s plenty of room for storage in trays, pockets, and cubbies. A standard panoramic moonroof illuminates the cabin. Buyers can upgrade to one of two grades of leather or a high quality Danish recycled textile. High tech surfaces can be trimmed with wood for a more natural feel. The dual-screen infotainment system has a 10-inch upper and 5.5-inch lower touchscreen. Apple CarPlay, Android Auto, and a limited version of Alexa are all standard. The Navigator is an exercise in American opulence. Rich leather is accented by lacquered wood, and touch surfaces feel hand-cut from quality materials. Front seats are powered with 10-way adjustability, and the second row is heated and blessed with three-zone climate control. A 10-inch touchscreen runs the easy-to-use infotainment system, and premium sound is provided by a 14-speaker Revel system. Apple CarPlay and in-car Wi-Fi are standard. Audio can be upgraded to a whopping 20-speaker system, and rear seat entertainment added. Content can be streamed to twin 10-inch screens on the seatbacks from Android devices, and streaming television is available for Sling users. 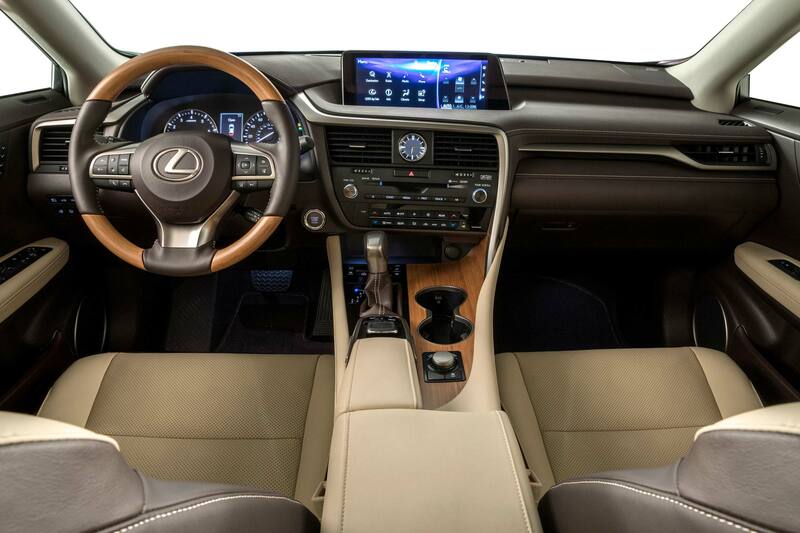 The interior of the Lexus RX has an impeccable fit and taut finish, but overall it exudes a relaxing vibe. Materials are carefully considered and controls are well-placed, allowing driver and passengers to enjoy the ride. Building on the lovely bones are packages that add memory functions, wood and aluminum trim, semi-aniline perforated leather, ambient lighting, and a moonroof, among other options. The standard infotainment screen is a generous eight inches, but adding the navigation package balloons the size to 12.3. Twelve speakers and additional USB ports are added. Buyers can also step up to the 835-watt Mark Levinson audio system with an amazing 15 speakers. Captains’ chairs are available in three-row RXL models.